Exporter of a wide range of products which include refining plants for chemical industry. We are among the leading names in the industry, offering Refining Plant for Chemical Industry. These plants are specifically designed for various seed oils like canola, cotton seed, sunflower oil, etc. the process involves pre-treatment of the oil with acids and neutralization with caustic. 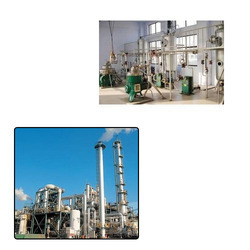 Looking for Refining Plants for Chemical Industry ?